Send us your pitch and we will let you know. The book could be about anything David Lynch. We had so much content we had to extend 4 extra pages in the print edition. But seriously I do want to say that without Courtenay, I would be totally lost. We want this to be a marathon, so we will pace ourselves. We will be shipping the hard copies on 3-24. Please subscribe to the hard copy editions to go along with your digital edition. He is such a brilliant artist, I am very excited to see that, and read about the men. Clark Middleton played Audrey's Husband or not. I can honestly say it was one of the most rewarding experiences I can remember. This is a great tribute to her. We have a complete Cast list by Joyce Picker. Every four months, The Blue Rose will examine Showtime's new season of Twin Peaks. Clark Middleton played Audrey's Husband or not. After 28 years, Scott Ryan finally sits down face to face with Sheryl Lee to have the ultimate Laura Palmer interview. Issue 2 focuses on the Laura Palmer Diary and Sheryl Lee's new vocal performance. This issue is the first issue that we could cover the new season airing on Showtime. Interview with Nicole LaLiberté Darya by Scott Ryan The Art of David Lynch vs Season 3 by Courtenay Stallings An article about The Catherine Coulson Welcome Fund by Scott Ryan A Tribute to Michael Parks Jean Renault by Brad Dukes Hard copies of this magazine are available for pre-order at. After 28 years, Scott Ryan finally sits down face to face with Sheryl Lee to have the ultimate Laura Palmer interview. I think for me, getting to interview Sheryl Lee was a highlight. Please subscribe to the hard copies at bluerosemag. Interviewing Sheryl Lee was a dream come true for you, and it was a brilliant article. 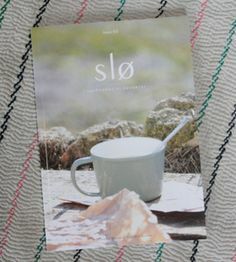 We are still learning costs, demand and the amount of time it takes to produce a high quality magazine. Help us keep the conversation alive! All articles are subject to change until we print. Issue 04 of The Blue Rose covers Twin Peaks by Mark Frost and David Lynch. Issue 10 is growing right behind it. We discuss Evil Cooper, Dougie at the Casino and that crazy Black and White Nuclear Bomb episode that we are still thinking about. Same goes for fan art. Issue 04 of The Blue Rose covers Twin Peaks by Mark Frost and David Lynch. John Thorne Wrapped In Plastic, Blue Rose writes a essay about the Palmer House as a modern day haunted House. Issue 4 will cover P Issue 03 of The Blue Rose covers Twin Peaks by Mark Frost and David Lynch. 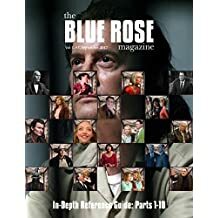 The Blue Rose Magazine is a lively publication that offers discussion, debate, news and analysis about Twin Peaks—David Lynch and Mark Frost's fascinating series old and new! The Blue Rose has been blooming secretly since October. She talked to most of the performers. So we need to be sure we sell that amount. You have great writers on board too, including our very own Editor In Chief, Andrew Grevas. Especially after seeing your fabulous wrapping party videos. Wayne Barnes designs a Sheryl Lee Cover that will make fans so very happy. We just sent Issue 9 to the printer today. We need all of the 2018 subscribers back to be able to pay for those copies. We discuss Evil Cooper, Dougie at the Casino and that crazy Black and White Nuclear Bomb episode that we are still thinking about. Expect essays that delve deep into the arcana of Twin Peaks, interviews with cast and crew, reports on current Twin Peaks events, and a regular column about the music of Angelo Badalamenti. We also would love to sell them in stores, so if you have a local comic book store, ask them if they want to carry us. Issue 4 will be the second half of the episode guide and will cover Parts 11-18, plus an interview with Amy Shiels Candie. We continue our reference guide that was started in Issue 3. The guide has a synopsis of each part. We also do a pictorial spread on the Palmer House. We are taking submissions at thebluerosemag gmail. We will cover Parts 11-18 of the new season which aired on Showtime in 2017. Issue 8 contents include:Dreams do come true: Sheryl Lee - The Dream interview by Scott Ryan.